October 9, 2018 – Cardiologist Aalap Chokshi, MD, has joined the Englewood Health Physician Network and Englewood Hospital. Dr. Chokshi is an expert in the diagnosis and treatment of all forms of adult heart disease, with special expertise in advanced cardiac imaging, including cardiac MRI and CT angiography. His clinical interests include coronary artery disease, valvular heart disease, cardiomyopathy, and congestive heart failure. He is in practice with Englewood Cardiology Consultants and accepting new patients at their office on North Dean St., in Englewood. Dr. Chokshi is board certified in cardiovascular disease and internal medicine, with additional certifications in adult comprehensive echocardiography and nuclear cardiology. He received his MD from Albany Medical College and did his internal medicine residency at Rhode Island Hospital–Brown University, followed by fellowships in cardiovascular disease at Tufts Medical Center and in advanced cardiac imaging at the Mount Sinai Hospital. 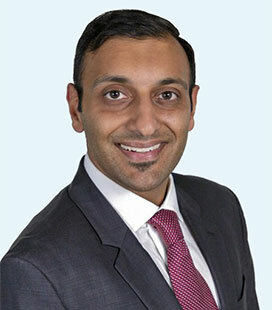 In addition to his clinical interests, Dr. Chokshi has extensive cardiovascular research experience. He has been a lead or contributing author on numerous studies published in peer-reviewed journals and has presented team findings at dozens of scientific conferences. He is a recipient of the American Medical Association Foundation’s Award for Overall Excellence in Clinical Research and served as an abstract reviewer for the American College of Cardiology’s clinical decision-making scientific sessions in 2017 and 2018. Dr. Chokshi is member of the American College of Cardiology and the American Heart Association. In addition to English, he is fluent in Gujarati and has working knowledge of Hindi and Spanish. To reach Dr. Chokshi or to find a physician at Englewood Health, call 833-234-2234.